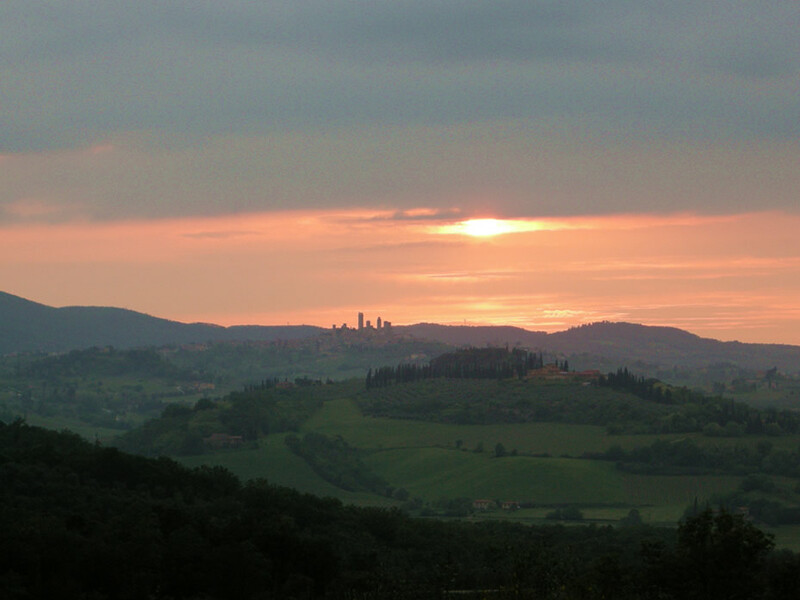 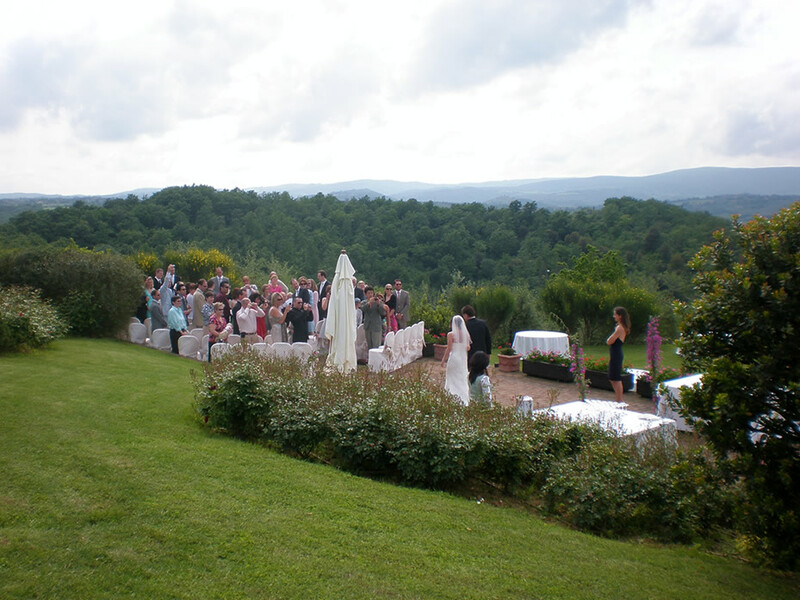 "Podere il Pino", hidden in the beautiful hills of Chianti, offers a magical setting of colors and breathtaking landscapes that will make your day more beautiful in the romantic Tuscany. 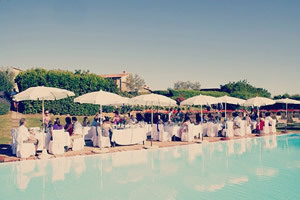 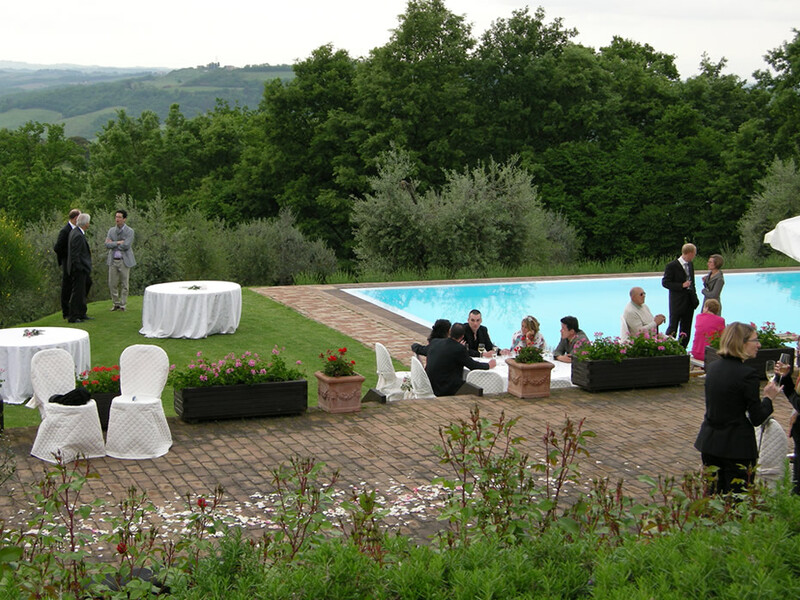 In addition to providing accommodation for guests, "Podere il Pino" can take care of everything that revolves around your event: location, ceremony, reception, dinner/lunch, party, drink, musicians, photographers, florists, bakers, translators, cameramen, stylists, make-up artists, animators, various decorations, party favors, transfer, rent, required documentation, etc... and, on top of all, the lovely view of the medieval town of San Gimignano and its towers! 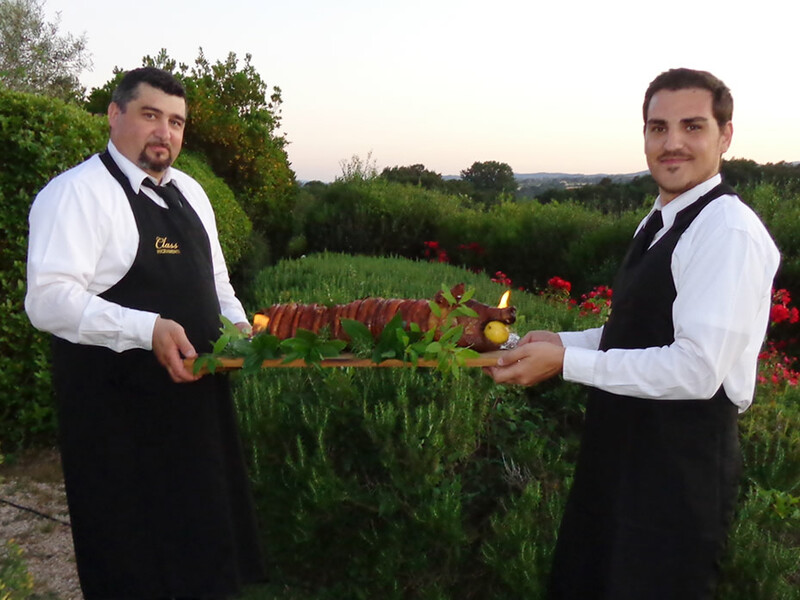 "Podere il Pino" has a staff that will accompany you step by step in organizing the day that will satisfy all your desires and that you will never forget. 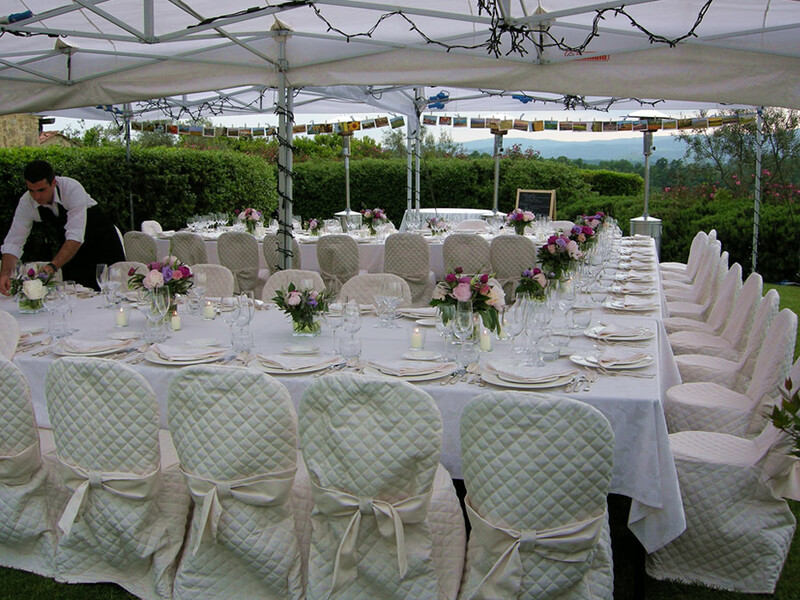 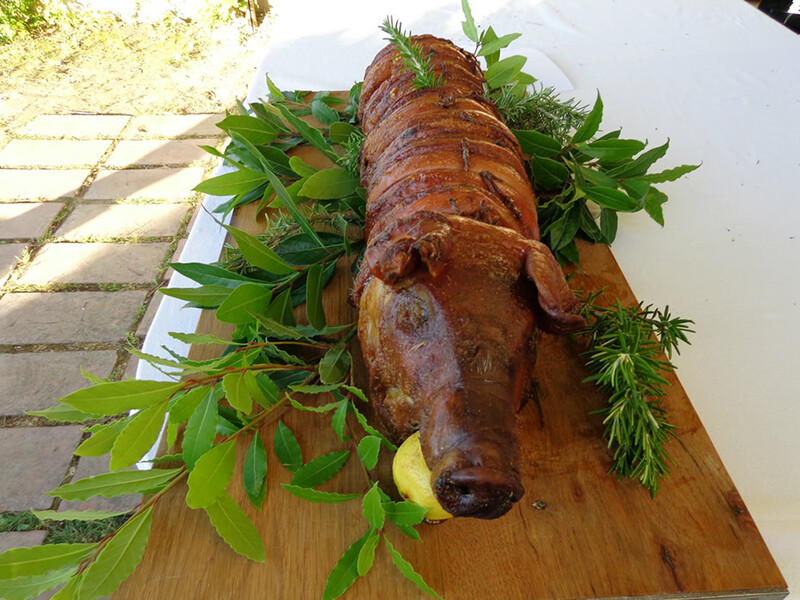 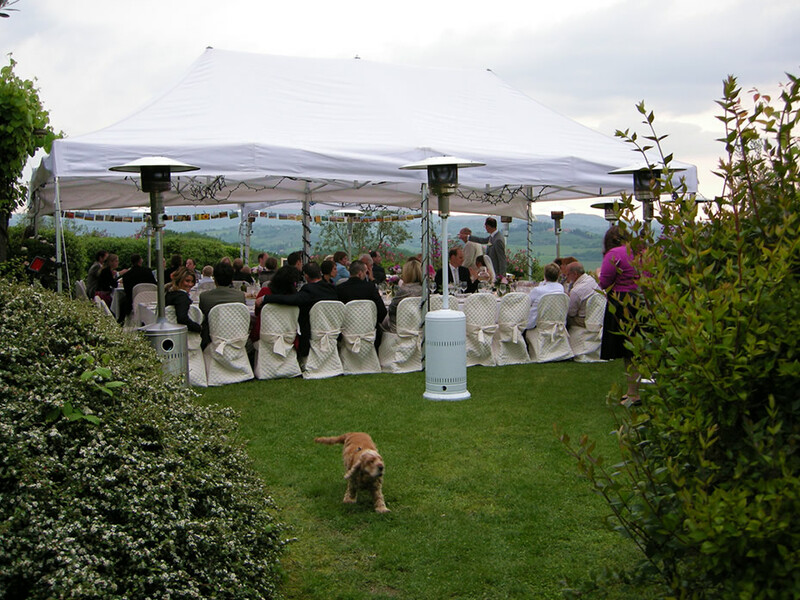 We are available to collaborate with outside catering, wedding planner and all that you want! 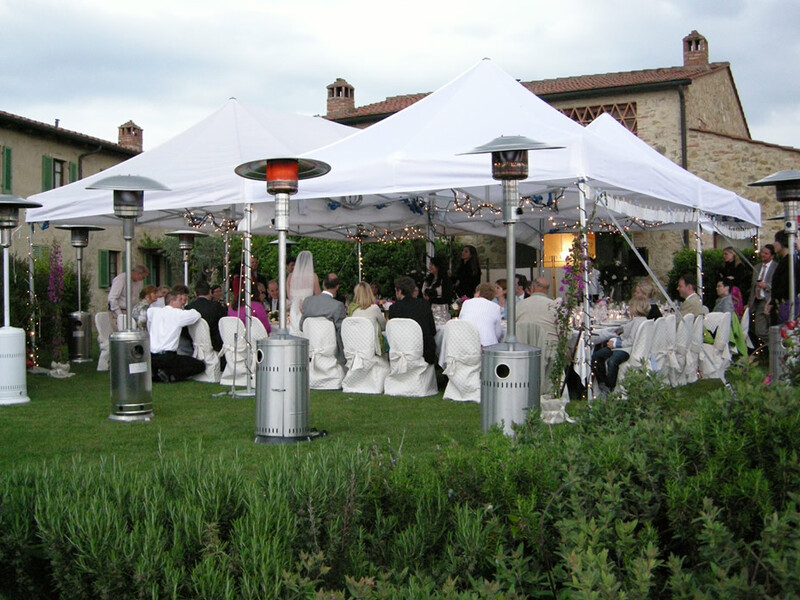 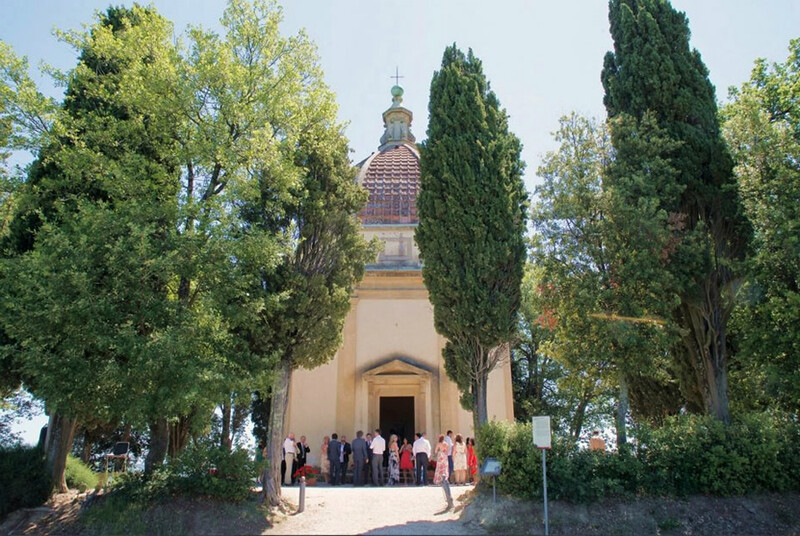 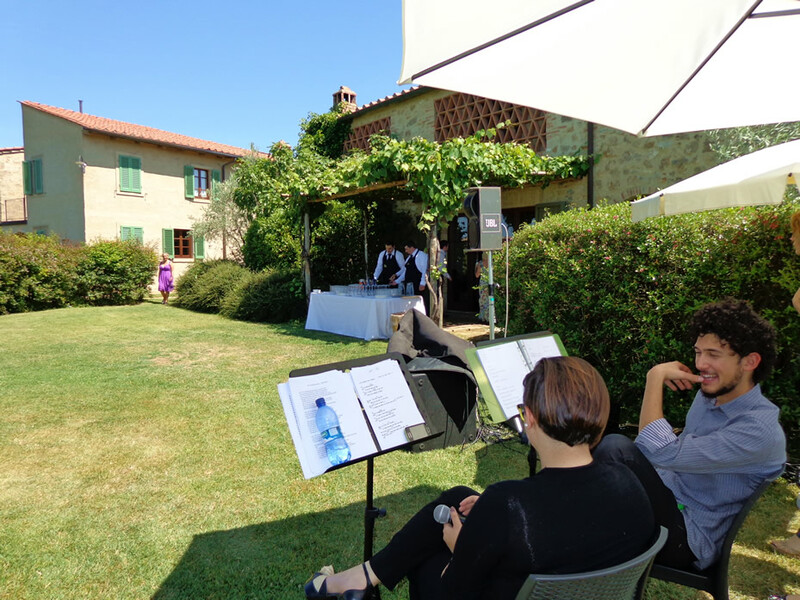 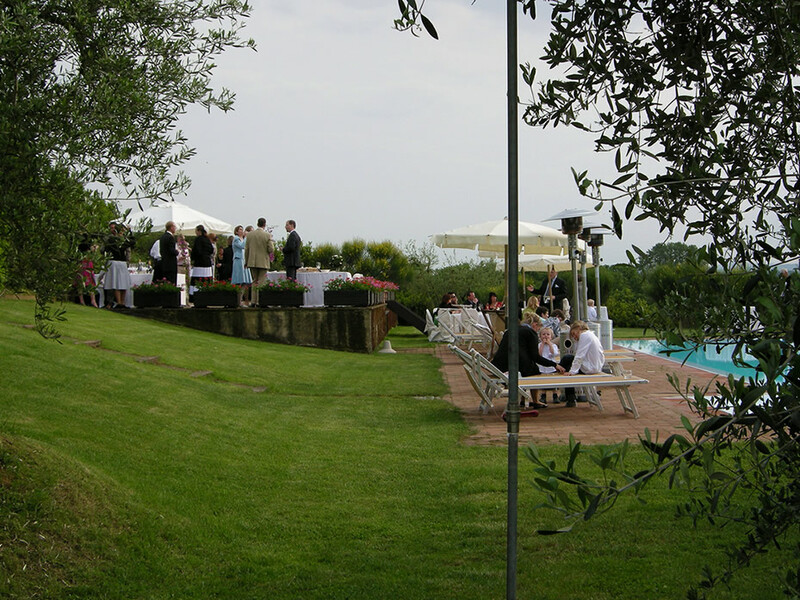 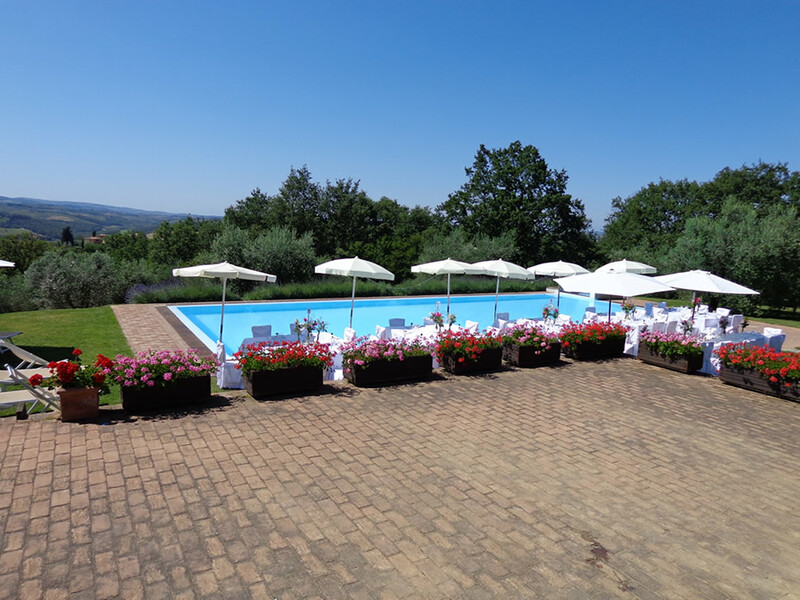 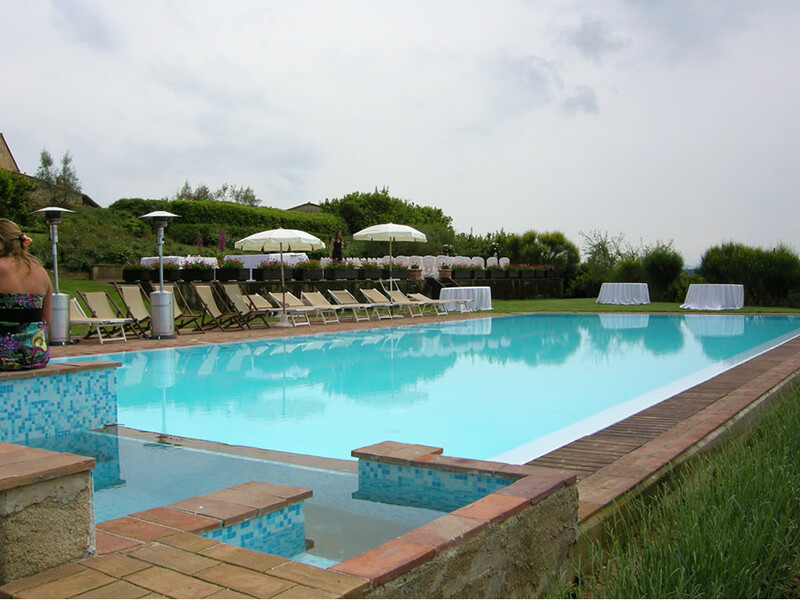 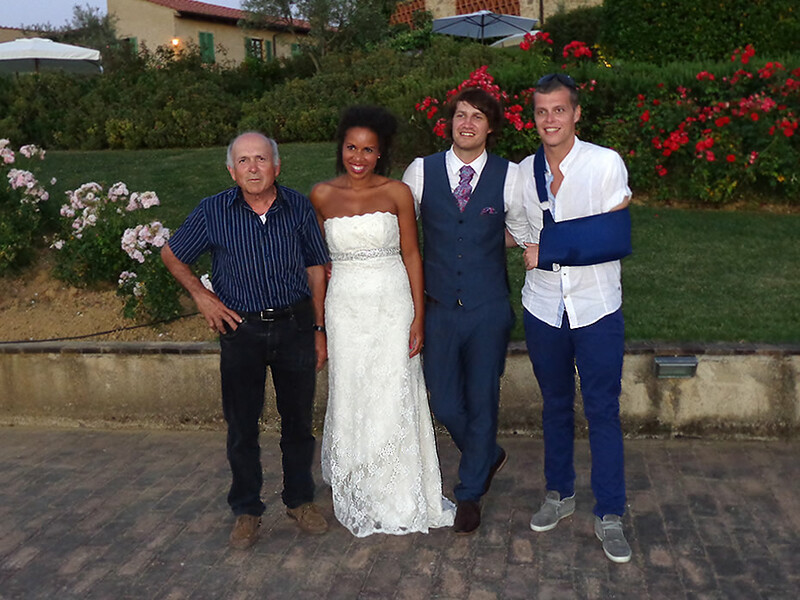 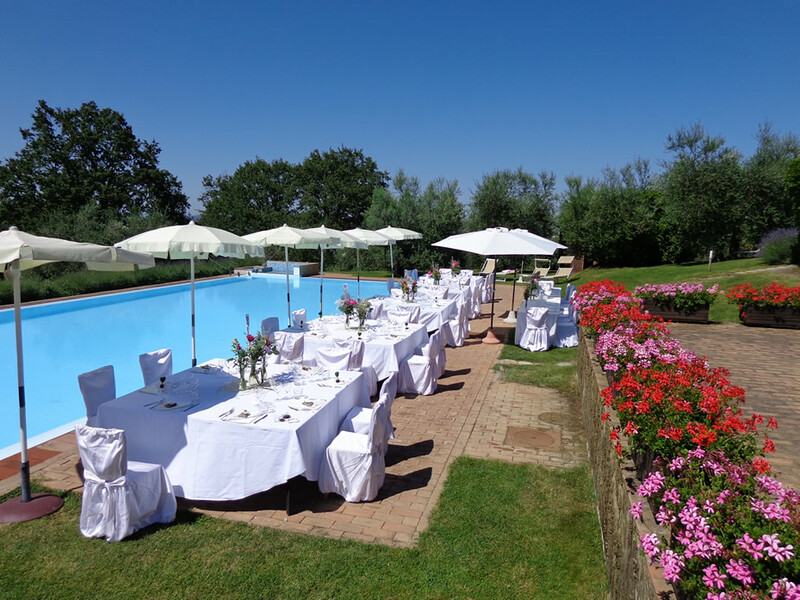 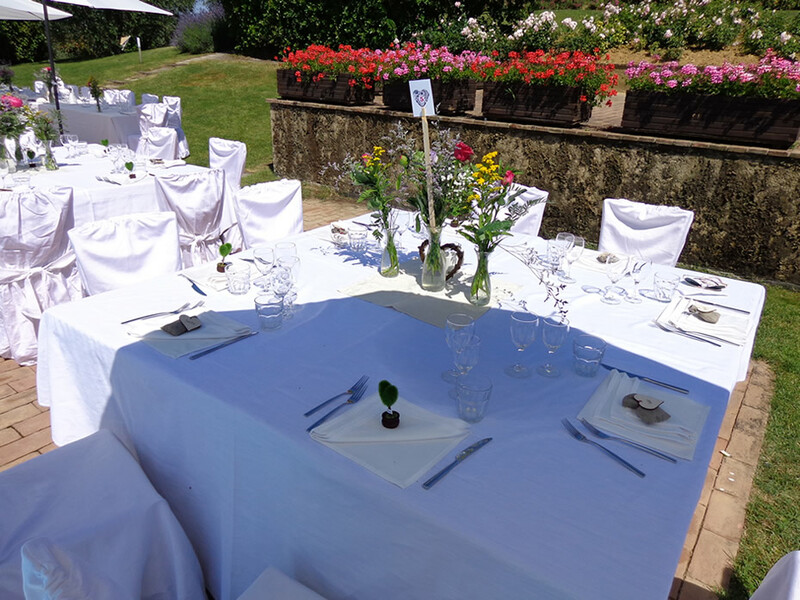 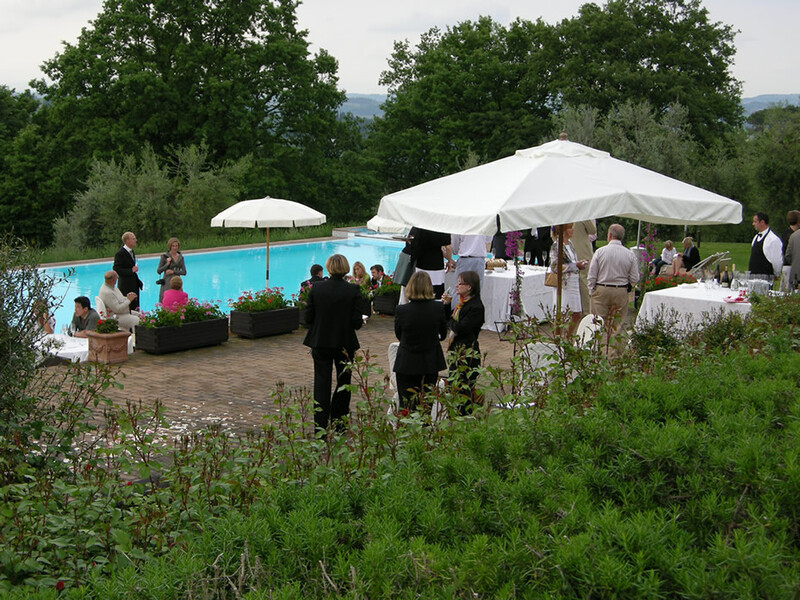 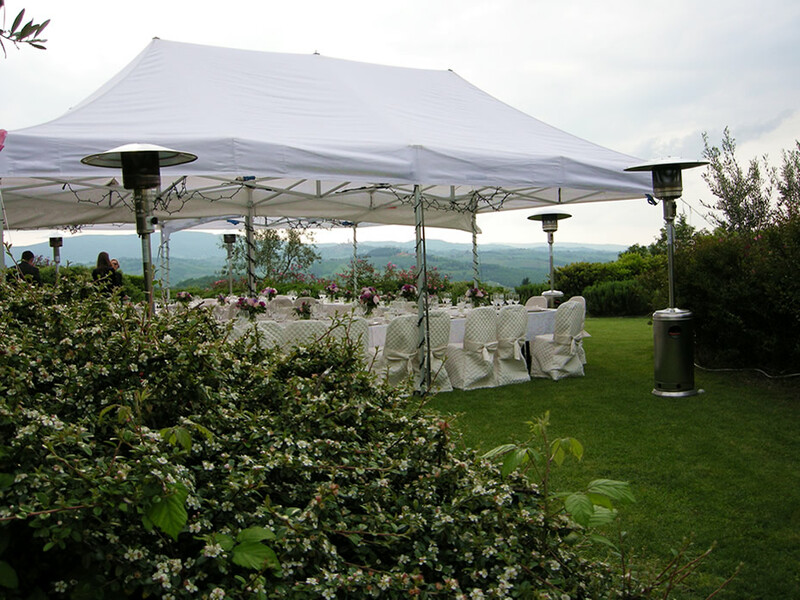 "Podere il Pino" offers the availability of ceremonies (symbolic type) in our facility, taking advantage of the wonderful Tuscany landscape setting that revolves around the Pino. 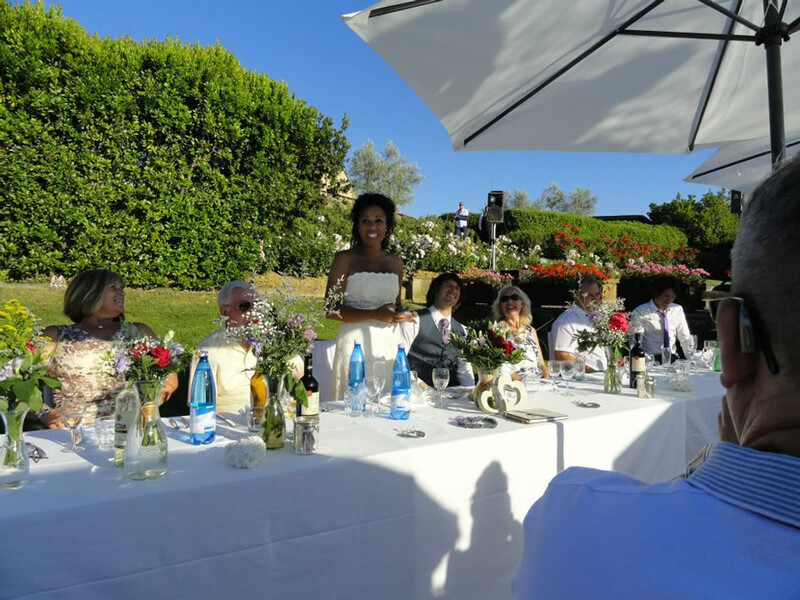 For religious and civil ceremonies we can contact the beautiful churches of the zones and the town halls of the various municipalities. 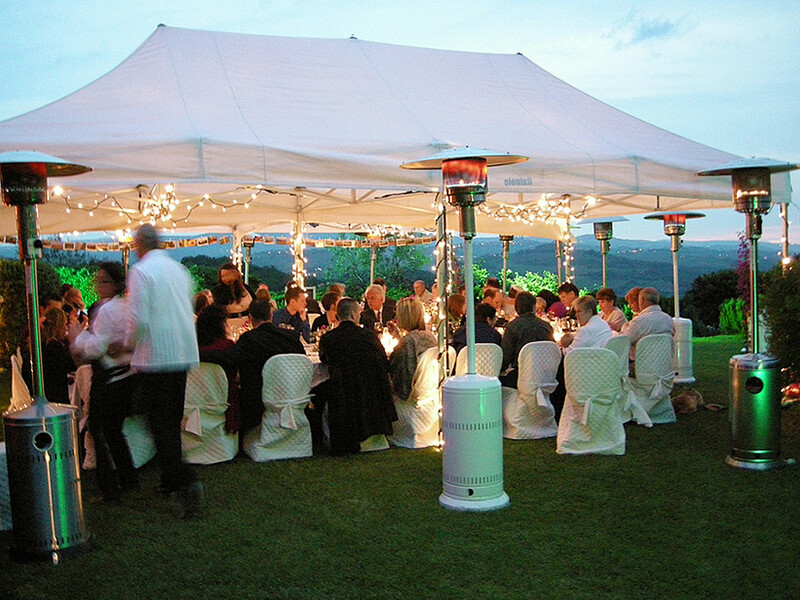 Tell us everything you want and how you want your SPECIAL EVENT and we'll make it REAL! 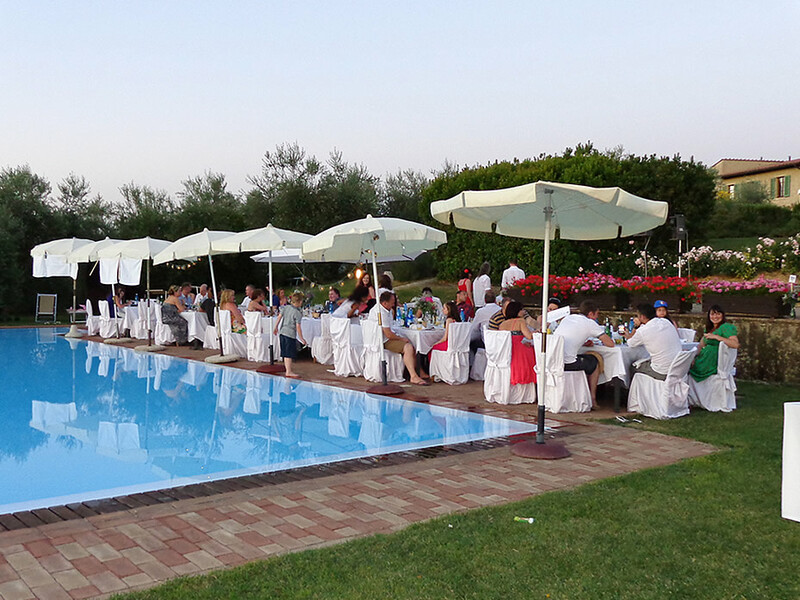 Our staff is experienced and available also for organizing and accompanying conferences, meetings or events.